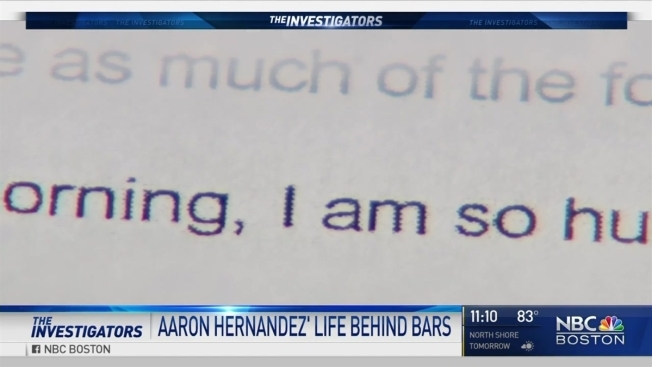 New Documents Detail Aaron Hernandez's Time Before Death. New documents released Thursday detail some of the trouble Aaron Hernandez got into during his time in jail awaiting trial for the murder of Odin Lloyd. Former New England Patriots linebacker Brandon Spikes is being criticized on social media after posting a pre-Super Bowl picture showing him on the field with one-time teammate Aaron Hernandez. Spikes posted a picture of him and Hernandez on the field, arms crossed, prior to Super Bowl XLVI in 2012. Hernandez was arrested a year later and ultimately charged in three different murders. He was convicted of the murder of Odin Lloyd in 2015 and sentenced to life in prison. Hernandez took his own life while in prison two years later, just days after he was acquitted in a 2012 double homicide in Boston. Spikes, who played with Hernandez on the Pats and at the University of Florida, immediately started receiving criticism after posting the photo on Twitter around noon Sunday, 6-1/2 hours before the Patriots were scheduled to face off against the Los Angeles Rams in Super Bowl LIII. "No words for how dumb Brandon Spikes has to be to post that," said NBC Sports Boston writer D.J. Bean on Twitter. "Uh... Brandon Spikes is out here dropping photos of Aaron Hernandez," said CLNS Media's Nick Quaglia. "I can't believe Brandon Spikes just posted a photo of him and Aaron Hernandez," added Dylan Botelho. "Oh no," tweeted Barstool Sports.